So you'd like to give your kids the basics of riding off-road but are unsure where to start. Well look no further. 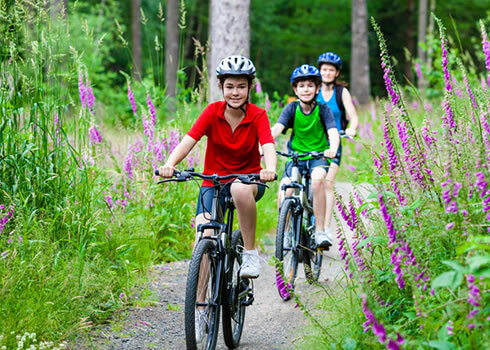 Our Kids Skills - Fundamentals coaching course will give them the core skills to get out in the woods tackling easy technical trails with confidence and commitment. Following training they'll see an immediate improvement in their riding and a boost in confidence. They'll understand how changes in their body position, footwork and where they are looking affect the way their bike behaves on singletrack trails. They'll be able to tackle moderately steep terrain, corner with control and negotiate small trail obstacles with ease. Our coaches are available for private hire throughout the year in The Surrey Hills. 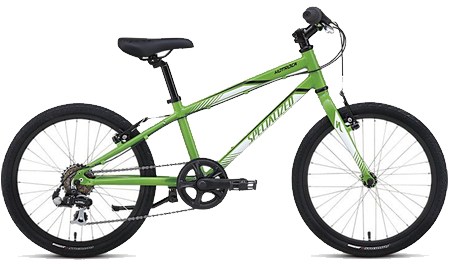 We have a small number of suberb Specilaized Hotrock kids bikes available to hire (see below) in additional to a large fleet of adult sized bikes if your group is short of a bike or two. 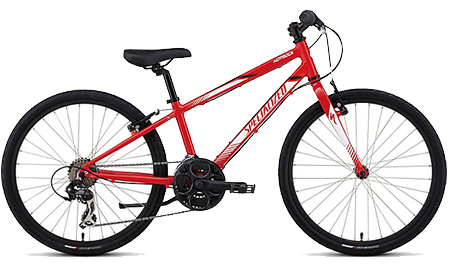 The Specialized Hotrock is built like an adult mountain bike with double butted tubing, grip shift 7-speed transmission and v-brakes. It is grown-up bike technology that's perfect for junior trail masters looking to hit the trails.